Harmonix takes its talent for making regular people into rockstars to a whole new level. I can say with 100 percent certainty who will run the tables at my next house party: A 6-year-old. That’s right, DJ PJs will be dropping beats well past his bedtime. While some parents like to think their kids are musical savants, I’m giving credit to Harmonix and Hasbro’s joint release, DropMix. It may bill itself as a music game, but the Freestyle music features here go well beyond bashing buttons as is often remembered as the course for the genre -- and we’re about to break it down for you. 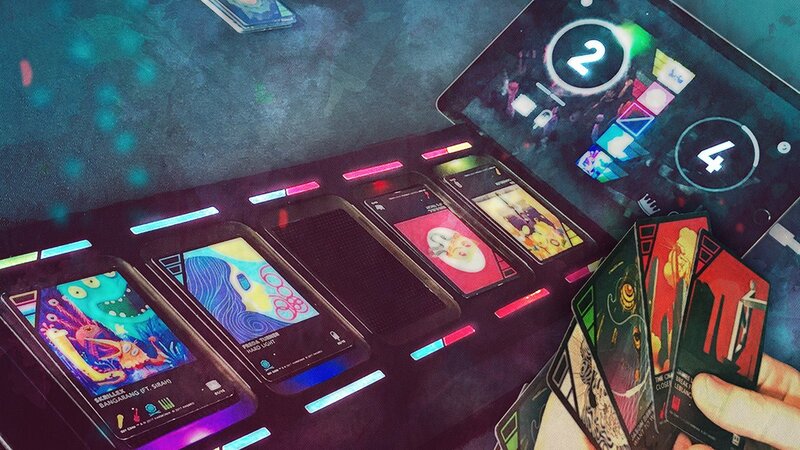 For those unfamiliar with DropMix, imagine taking a high-speed musical version of Go Fish, melding that with the nature of a collectable card game and the old Rock Band / Guitar Hero games you probably played at one point. If you’ve got a modern iOS or Android device (and we’d highly recommend speakers connected to said device) you’re ready to jam. So…the music is in some playing cards? Kinda. The cards emit a signal, unlocking specific music samples in the game. As you drop cards, different samples from different songs cue up and start blasting. The real magic happens when the app beat matches and speeds up / slows down to craft tunes that you never thought could possibly work -- and sound awesome and with zero effort on your part. And it’s a game of Go Fish meets Magic: The Musical? Yep, we didn’t stutter there. When the game first launched last year, it was essentially a competitive card game where you matched wits and musical styles while building out a killer soundtrack. In the time since, the DropMix team has been jamming! They’ve gone out of their way to add new features, ways to tweak the tunes, additional music tracks, and most recently, a single player Puzzle Mode. If we’re being honest, though, the initial draw that grabbed me was the Freestyle mode. Imagine having sound samples from different songs -- keyboards from one tune, the guitar riffs from another -- then layer on top of that the vocals from A Tribe Called Quest. Thanks to the 60 samples in the starter box, you’re on your way to making awesome music. Hang on. You just said, “Starter Box.” Does that mean I gotta buy more music samples? You don’t have to -- but you’ll want to pick up additional music packs. There are some that were store exclusives and chase packs that you’ll have to track down if you want that wide variety of styles to choose from. This is where this fun-as-heck game can get costly if you’re not careful. A 16-card themed “deck” costs $15, while blind “Discover” pack seasons are now available as 30-card bundles for $25. So, if you’re not careful, you could drop upwards of $300 for a ton of music. But if you’ve got music fans in the house, it’s worth it. Can a 6-Year-Old Really Use This? In a way, yes. The box clearly states that DropMix is for ages 16 and up. That’s likely because this isn’t a cheap endeavor for kids, and the cards that house the NFC chips aren’t indestructible. That said, if you go in knowing all this -- and do a bit of prep work -- it’s a ton of fun. Go to your local hobby shop (or, if we’re being honest here, Amazon) and buy plastic card sleeves. They’ll help protect those cards from harm and won’t block the signal inside them. You’ve talked about protecting the cards and all that, but are there any other downsides to DropMix? Otherwise, whether you’ve got some buddies around, just want to create your own tracks, or now want to take advantage of the new Puzzle Mode – it’s a blast. 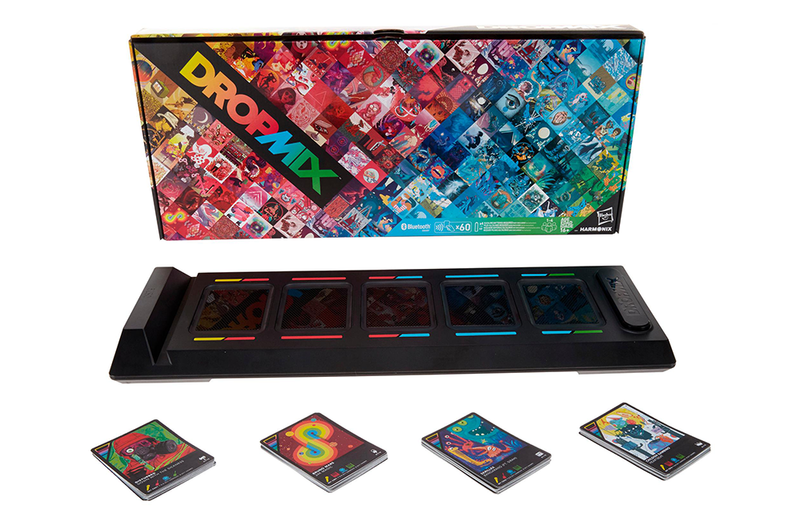 Free Idea Alert: DropMix DJ party at your house! If you can’t book DJ PJs for your next event, don’t sweat it. Make the partygoers the DJ! 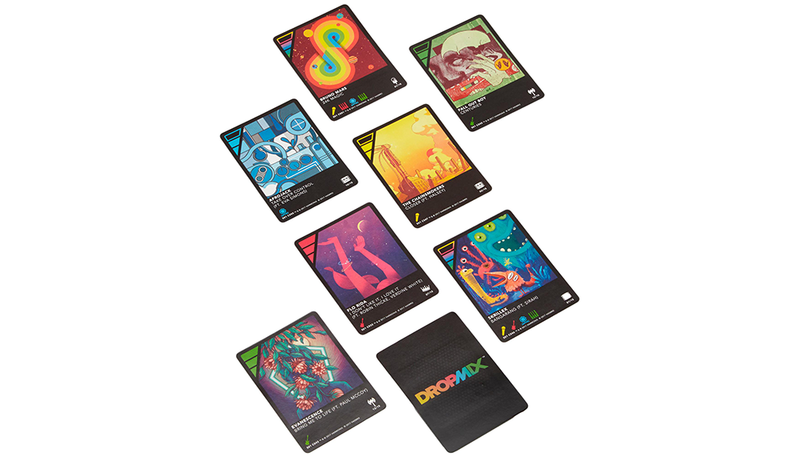 Give each attendee a couple DropMix cards at random (make sure that you’ve got those cards in protective sleeves) and let them know that throughout the party they can only drop each card once. Connect the DropMix deck into an awesome sound system and you’re good to go! You’ve been talking a lot about DJ PJs – what’s his deal? DJ PJs’ musical style comes from equal parts Pokemon, Queen, Portugal The Man, Elton John, A Tribe Called Quest, Beastie Boys, Motorhead, Pitbull, Sesame Street, and The Beatles. While he hasn’t released a full album yet, he’s been chopping up tracks like a champ since DropMix came out in late 2017. Me? I’m looking forward to the upcoming collaboration between Zedd, Dangermouse, and DJ PJs. Stay tuned for updates!